Dignity Health - East Valley Office of Continuing Medical Education (OCME) is accredited by the Arizona Medical Association to provide continuing medical education for physicians. The OCME designates this educational activity for a maximum of 17 AMA PRA Category 1 credit(s)™. Physicians should only claim credit commensurate with the extent of their participation in the activity. Performance and interpretation of non-invasive coronary CT angiography (CTA) involving the intravenous administration of 60 to 140 ml of iodinated contrast during a prolonged breath-hold is significantly more challenging than coronary calcium assessment. Understanding the anatomy, which is learned most directly from conventional coronary arteriography, is vital to appropriate performance and interpretation. However, not all practitioners will have adequate understanding of the coronary distribution and anatomy. The tortuosity of the vessels and limited temporal resolution (MDCT) or spatial resolution (EBT) contributes to this difficulty. This course is intended to assist practitioners in demonstrating competence in analysis and interpretation of cardiovascular angiographic data, which is necessary for clinicians to obtain both clinical expertise and to become technically competent in 2D and 3D rendering using a computer workstation. 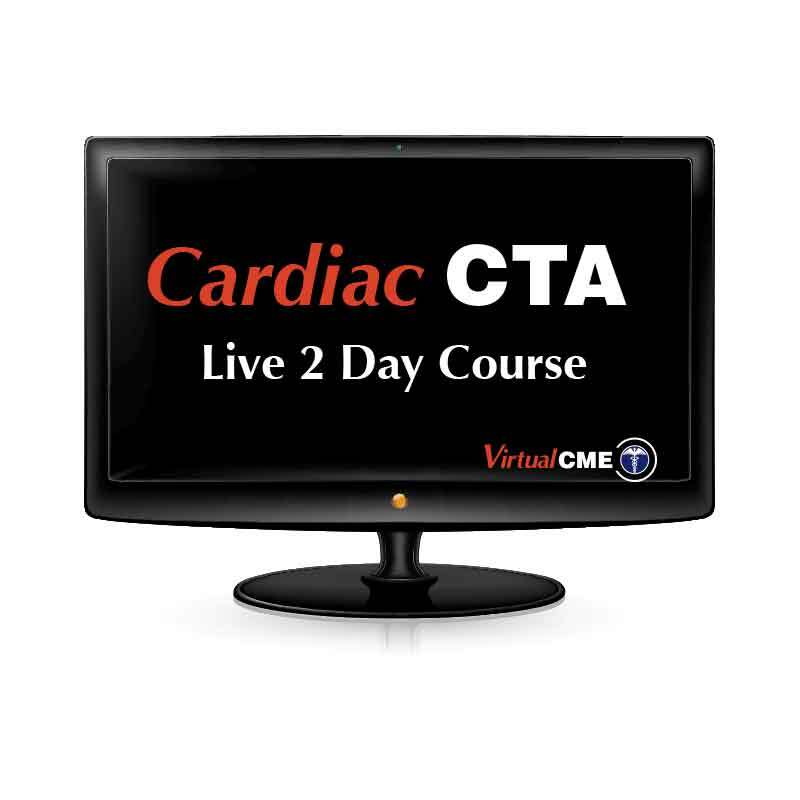 Disclosures of Relevant Financial Relationships for Cardiac CTA Live 2 Day course are on file for this program.